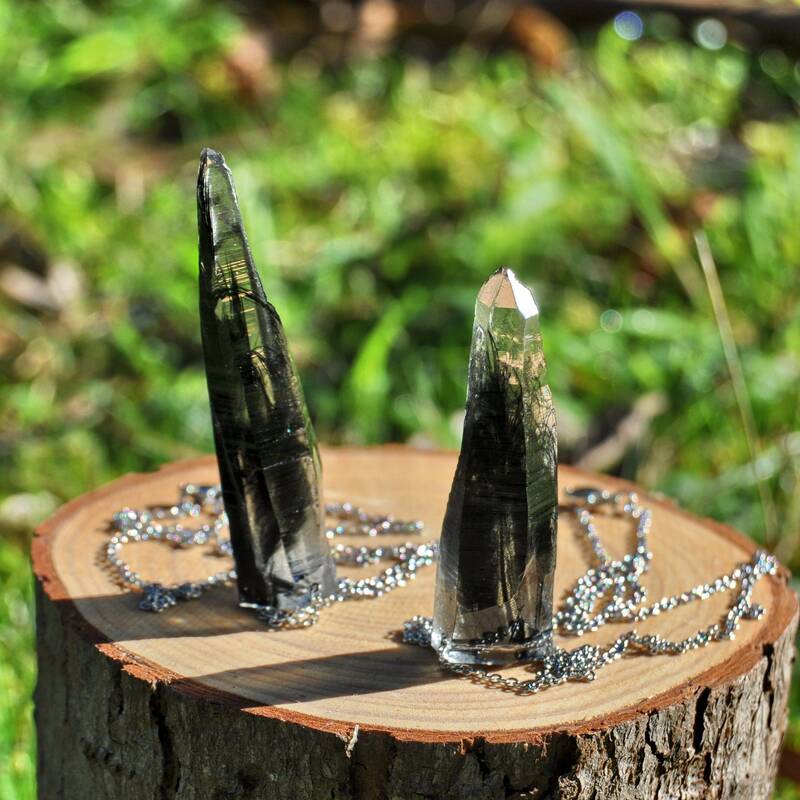 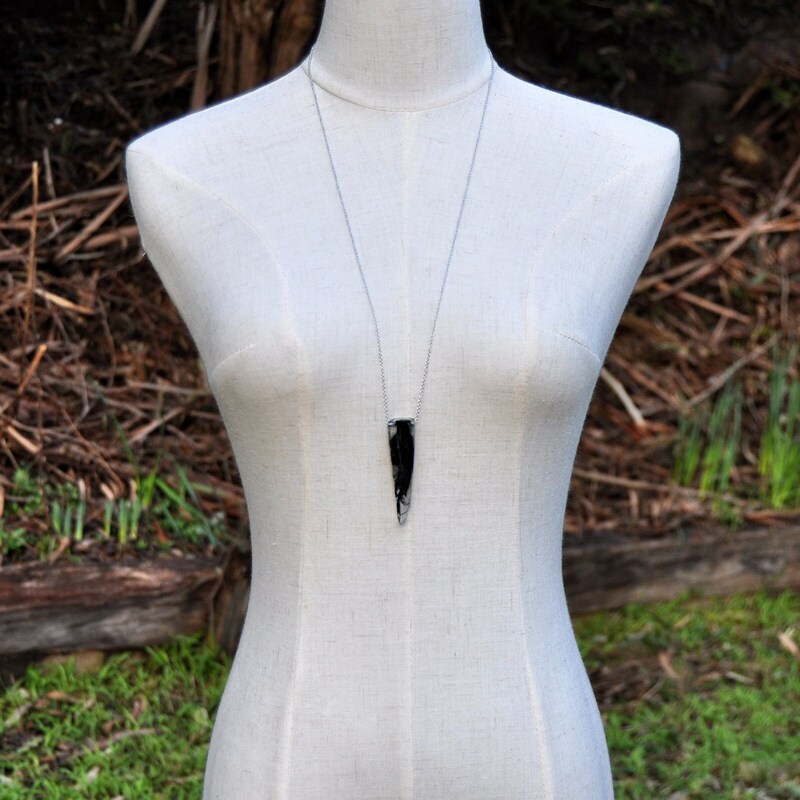 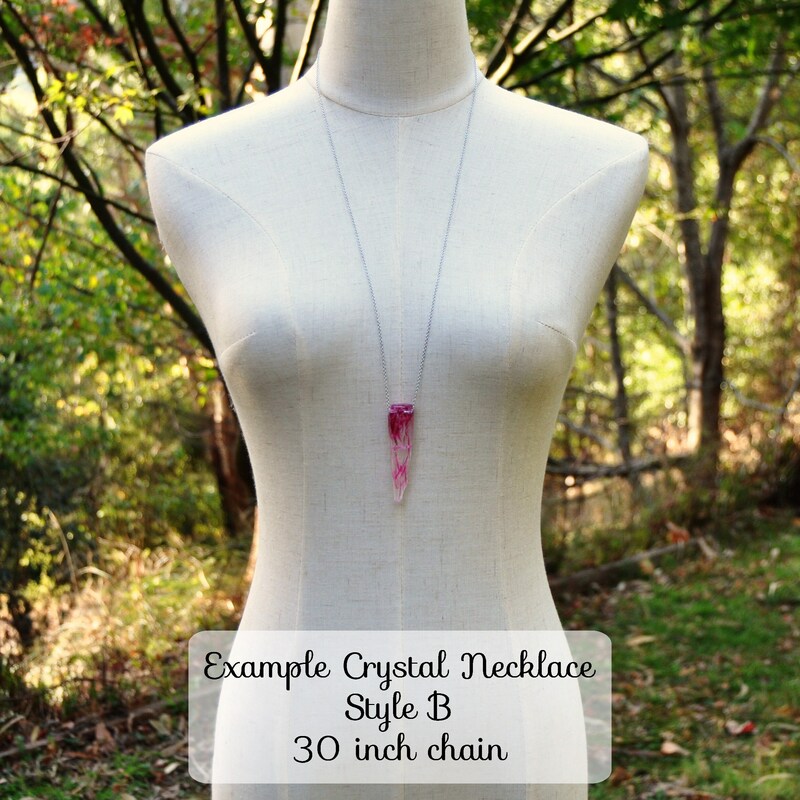 These dark crystal necklaces made as replicas in shape of genuine natural quartz crystal daggers. 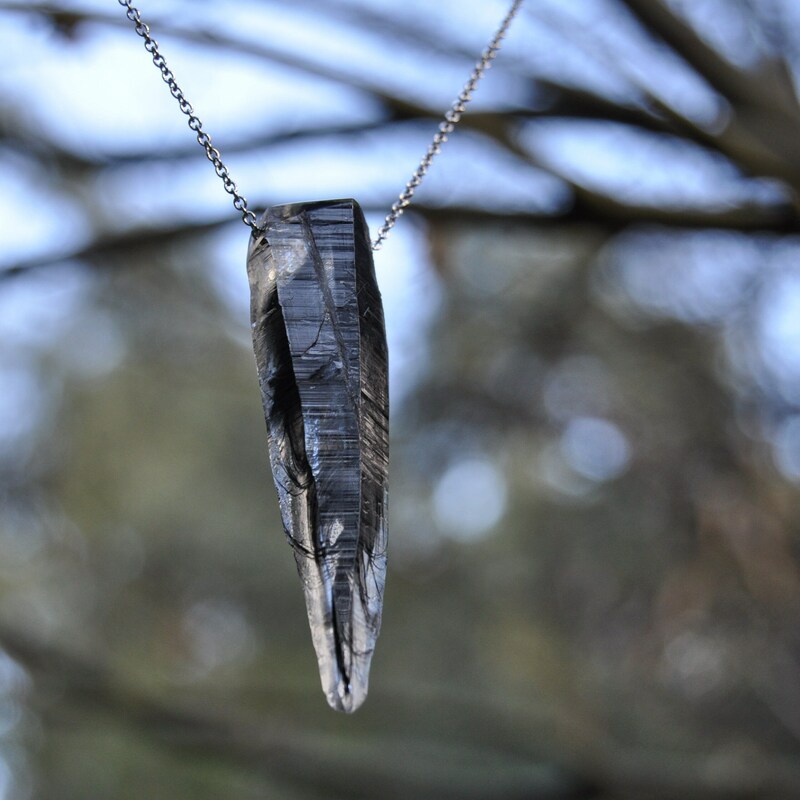 Each crystal is cast in clear eco resin, and contains a single embedded black feather. 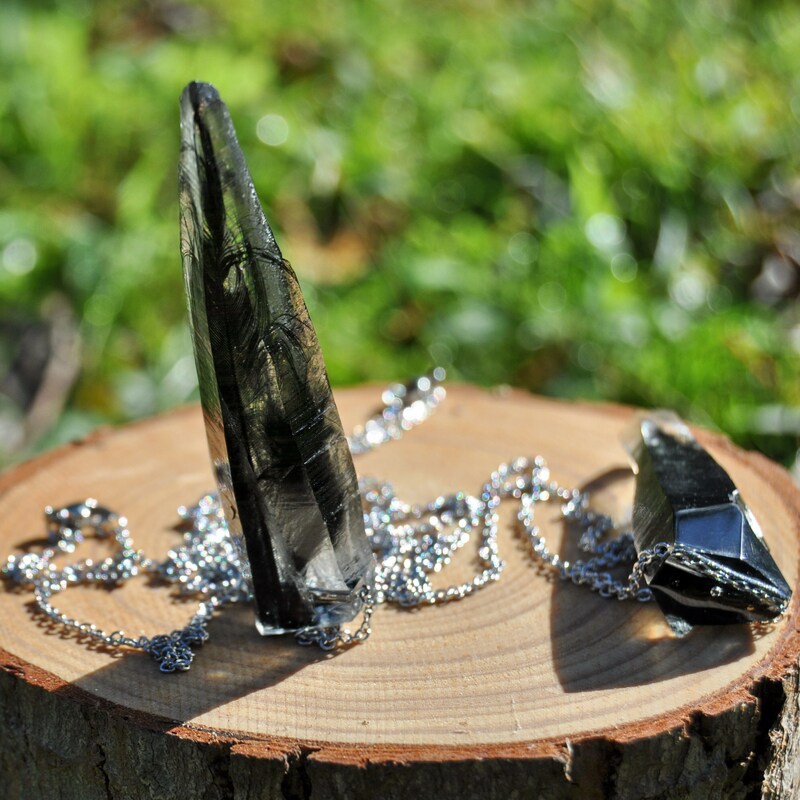 Unique as they are, these crystals could make a interesting gift for that one-of-kind person, or simply as a a gift for yourself. 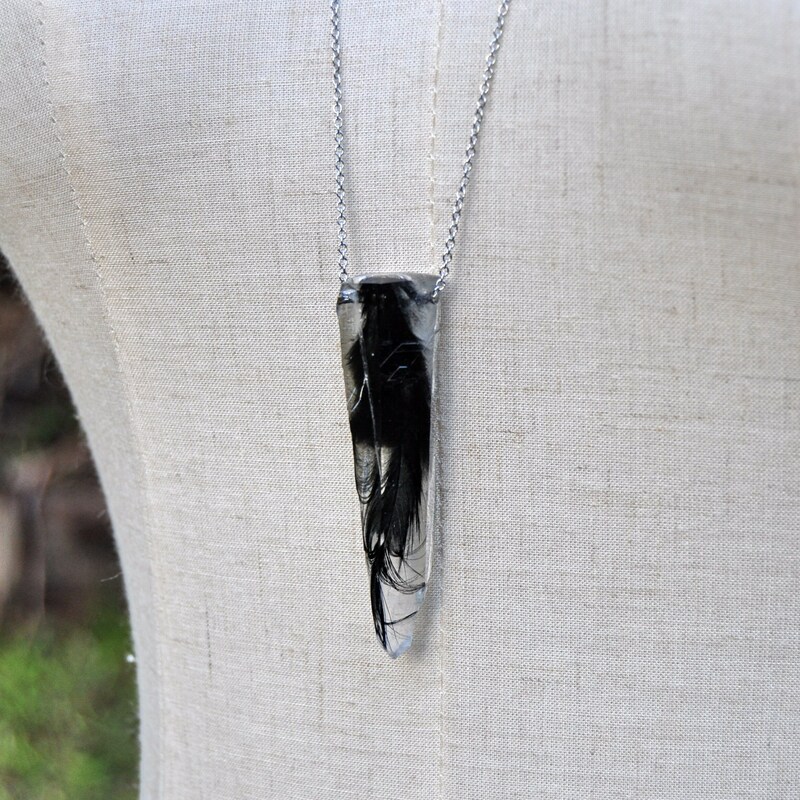 Both crystals have 2-3 hand polished faces at the top of the pendant. 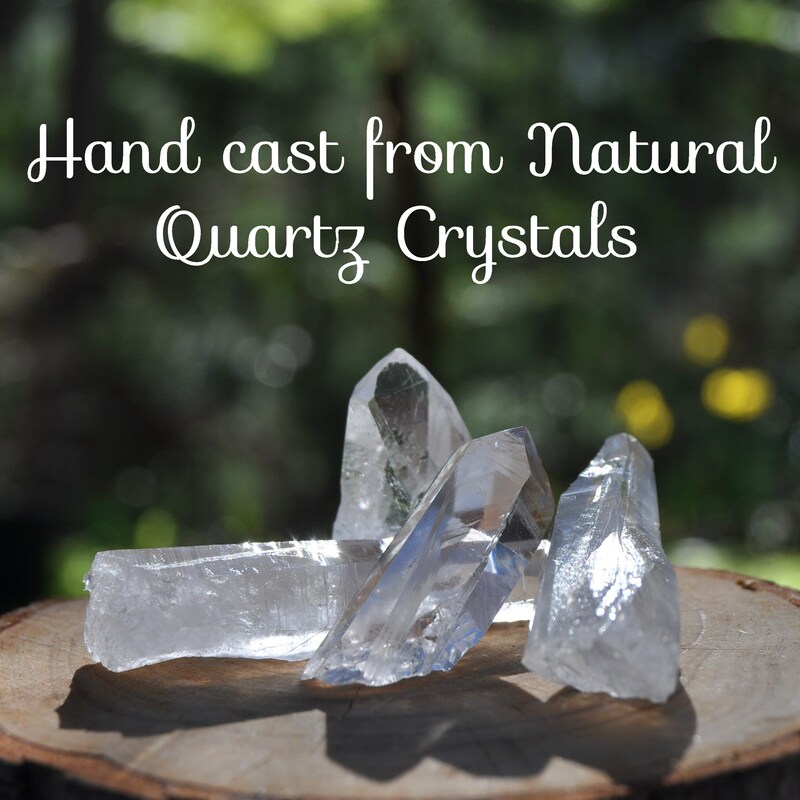 The remainder of the crystal surface has the natural textures from the original crystals. 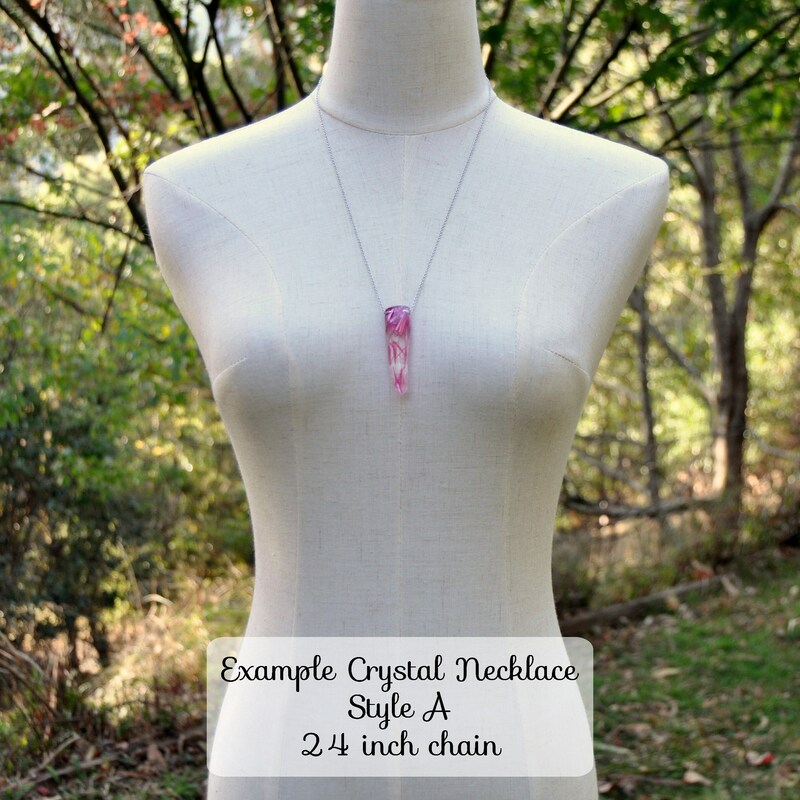 You will receive a randomly selected crystal in your choice of style, with a fine stainless steel chain in your choice of length.